Choosing your next car is one of the most important decisions you can make. You have to choose between new and used, loaning and leasing, and which Honda you would like to drive home. Here at Buerkle Honda, our Honda Certified Pre-Owned program offers customers a great option with plenty of benefits. Pre-owned Hondas can only become eligible for the certified pre-owned status if they are under 6 years old and 80,000 miles. These models come with the security of a Limited Powertrain Warranty for 7-years/100,000 total odometer miles. They must go through a rigorous 182-point inspection by Honda-trained auto technicians. A thorough and free Vehicle History Report is included so you can make an informed decision. Free SiriusXM Radio three-month trial period. 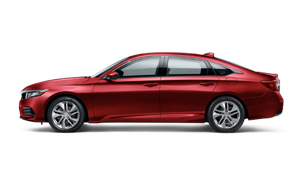 You have the option to include Honda Care, which will include amenities like Concierge Emergency Service, Roadside Assistance, Lock-Out Assistance, Rental-Car Reimbursement Benefits, and so much more. With all of these benefits, it isn’t difficult to see why the popularity of CPO vehicles is quickly growing. Certified pre-owned models allow you to enjoy the luxury and reliability of a new car, and you also get the savings of a used vehicle. If you see any vehicles you like, we encourage you to stop by our store and find out more today. You can chat with our sales staff to learn about your warranty options, the Honda Care program, the full vehicle inspection, and more!